I sit in a gymnasium. My yoga mat stretched out on a cold cement floor that could use a once over with a mop. Intermittently, there are announcements or codes blaring over a loud PA system. I pray that I may be used as a vessel, an instrument for something bigger than myself, and that everyone in my class gets something they need in the next hour and fifteen minutes that we share together. I wait for my service members to be escorted in from their unit. I never know how many will come or what condition they will arrive in, but I am always eager to share myself and to be a part of their healing. I am the yoga instructor for the Military Wellness Program at Holliswood Hospital. Holliswood Hospital is an inpatient psychiatric facility that houses a unit specifically for service members who suffer from Post Traumatic Stress Syndrome (PTSD) and other combat induced stress anxiety issues. PTSD does not discriminate. I have met members from every branch of service, with varying ranks and from every age group. Some have physical injuries, as well as mental scars. Some have been coming to class for months and some for the first time. Many of the first timers are curious to know how yoga can help them. After working with this population for close to a year now, I can say with absolute certainty that yoga is a successful component in healing PTSD. For someone who has never practiced yoga this may sound ludicrous. 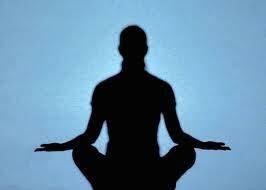 Yoga, according to ancient Indian text, is the union of mind, body and spirit. It is used to create a balance between the body and the mind. This is accomplished using different movements, breathing techniques, relaxation technique and meditation. It is the oldest physical discipline known to mankind and the most complete exercise because it works from the inside out. It massages the inner organs and glands. It lubricates joints, tendons and ligaments as well as working the muscles. It helps cure and prevent physical disease. In the treatment for PTSD, it is important to understand how PTSD itself occurs. In terms of yoga, it is also important to remember, that as humans, we are made up of three different energies- our physical, our emotional and our spiritual selves. In the case of PTSD, and more specifically combat induced PTSD, service members are affected on every one of these levels. PTSD is an anxiety disorder that occurs after exposure to a terrifying event or ordeal in which grave physical harm occurred or was threatened. Obviously, being in combat would fall under this category. There is a physical response that occurs when a person is placed in such conditions. It is known as ‘fight or flight response’. When the mind perceives a grave threat the brain sends messages to the body to ready it for survival, either through fleeing or through fighting. The changes that occur include a heightened awareness in the senses- you are better able to hear, see, and smell. This serves to alert a person to the approaching threat as soon as possible. The cardio-vascular system and the respiratory system go into full throttle to produce a larger amount of super oxygenated blood so that muscles are able to perform at their maximum efficiency. Blood flow is diverted from the kidneys and digestive system to the legs and larger muscle groups. Blood vessels to the skin are constricted to reduce bleeding and sweat glands open to cool the body down in this overworked state. Endorphins are released to decrease pain and natural judgement is over-ridden by primitive instinct. Most of us have experienced this reaction. It occurs when we are threatened but usually subsides in a short period of time. Herein lies the problem with combat. Your body is in this state for such a prolonged period of time that it begins to think this is it’s normal state of functioning. In essence, the body forgets how to return to its state of relaxation. This is what produces the physical symptoms of hypervigilance often associated with PTSD, such as the inability to sleep, lack of judgement and the anger response. It is also the reason for many of the physical illnesses commonly found in service members returning from combat. GERD, a common medical problem in returning service members, is caused by the decreased blood flow to the digestive system. So, how does yoga help heal these things? First, and foremost, yoga reminds your body how to relax. It helps to re-establish the pathways to the brain and body that allow it to respond appropriately to the situation it is in, rather than to remain in a hypervigilant state. It can be compared to creating a path in the grass, the more you walk over it the deeper it gets. The same happens with your body. Numerous, lengthy deployments increase the severity of PTSD because the body is kept hyperstimulated for a longer time. With a consistent yoga practice the body recognizes its ability to slow down and operate in a normal state. Besides the neurological effect, the physical postures also massage the organs and stimulate the body to heal any damage, even on a cellular level. Increased flexibility allows for freer movement of joints and muscles that become stiff due to injury or constant tension. The emotional part of combat is the next issue. Military members are aggressively trained to disassociate from their emotions. This is a tool that saves your life in combat. However, this disassociation is disastrous when a service member comes home and is expecting to be overjoyed at seeing their family and is numb. Again, the number and length of deployments is a crucial factor in determining the severity of this disconnect. Another crucial factor is the past history of the individual. I like to say that when something traumatic happens to us and we are cracked open- ALL of our stuff pours out-not just the precipitating event- but all the pain we have carried for our entire lives. It is overwhelming. Yoga brings your awareness to the mind-body connection through breathing. We all breathe automatically-but in yoga, every movement coincides with an inhale and exhale. You move your body to the natural rhythm of your breathe. Because we are made up of energy, we often hold negative emotions in certain areas of our bodies. Areas such as the head, shoulders and hips hold tons of emotions. When we open these areas up in yoga it allows these emotions to flow out. It is often surprising to my service members how emotional they get in hip opening or heart opening poses. It is not uncommon to be brought to tears. Once these emotions are brought to the surface you can talk about them in a safe place. In Holliswood, it would most likely be with one of your therapists. My personal thought on yoga is that it is a lifestyle. I like to remind the men and women in my class to be mindful of their thoughts and actions. This is where the spiritual part comes in. In my opinion, what happens on your mat is a direct reflection of what is happening in your life. If you are judging yourself and how you perform in class- you will judge yourself and others off of your mat. If you notice negative thought patterns about yourself, you probably beat yourself up over things and spend alot of time stuck in guilt off your mat. In my yoga class we focus on gratitude for what we have, releasing that which no longer serves us and recognizing that we are here for a purpose. I remind everyone that attitude is a choice. We are not in control of what happens to us but we are in control of how we respond to different situations. We focus on possibilities instead of problems. We connect to that little voice that we have been disconnected from. I end each class with a relaxing meditation. Many of the guys fall asleep. In a traditional yoga class, some instructors frown on that. I love to see it because I know that many of my students haven’t been able to sleep in days. I have had soldiers come to me on every drug imaginable, still in pain, still unable to sleep and still feeling out of control. There are some that find it very difficult to sit still and are unable to close their eyes in our resting poses or even during the meditation when they first begin. I use this to gauge their progress. Many students report a full night’s sleep after just one class. Even the most skeptical guys have reported tremendous effects. Many of the service members were able to reduce or discontinue many of the drugs they were prescribed. Substance and alcohol abuse issues become manageable. One service member who had his knees blown up and rebuilt told me that it was the first time he wasn’t in pain. I am not saying that yoga alone can cure PTSD. I do believe that yoga in conjunction with different types of therapy can definitely decrease the symptoms and allow our service members to reconnect with themselves and their loved ones. My hope and prayer for every class is that they leave feeling a little more complete than when they arrived and I am ALWAYS, ALWAYS humbled and grateful for the opportunity to be a part in their healing process.